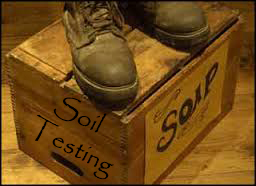 Using a Grain Drill Grain Box for Fertilizer, Results and a Calibration guide. August 7, 2017 9:39 pm / 3 Comments on Using a Grain Drill Grain Box for Fertilizer, Results and a Calibration guide. For the last few years I have been challenging people to “Think Out Side the Box” when applying fertilizer. One of these application methods is to use a grain drill to put Nitrogen fertilizer into the soil. Just the act of getting N into the soil will immediately decrease the opportunity for losses. 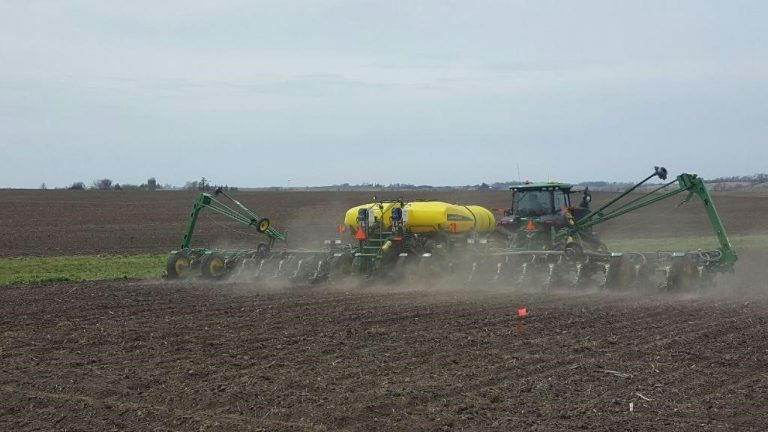 While it seems crazy many picked up on the idea of using grain drills for N applicators. The first year of a two-year study looking at documenting the practice is in the books. 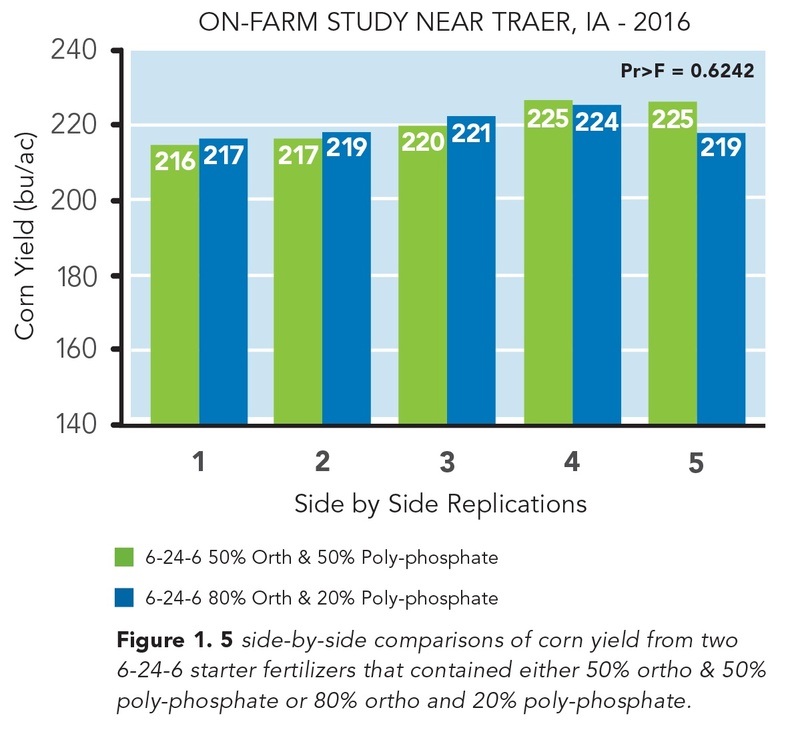 With data coming in from three locations, utilizing two drill types (double disk conventional and single disk no-till), the results are quite promising. 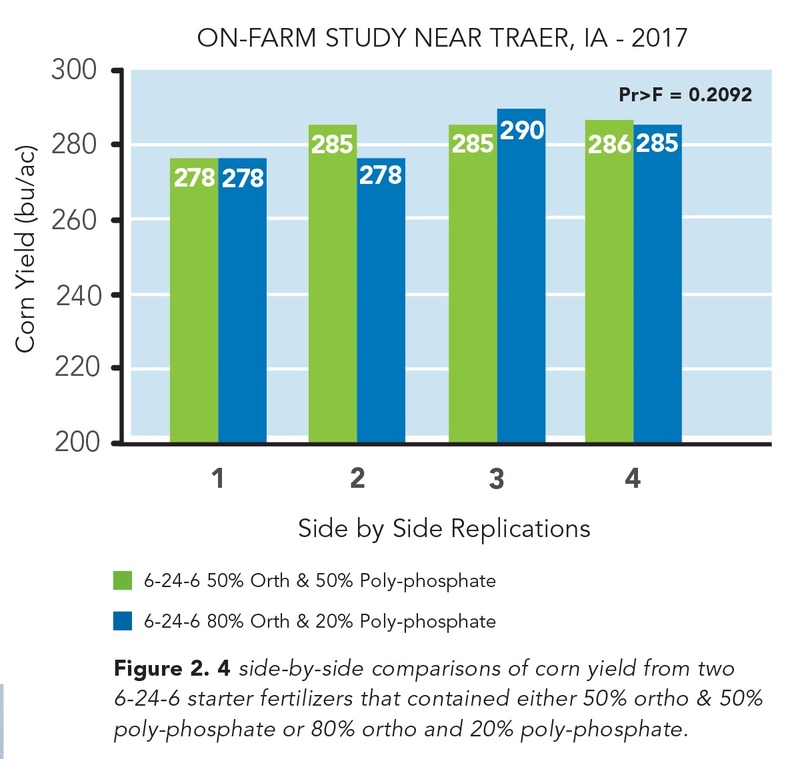 The biggest take home from year one was a 2 parter: 1) if conditions are conducive to nitrogen loss from urea volatilization, applying urea with a grain drill in the spring improved efficiency. Conversely if loss potential was low, there was no difference. 2) in some soil conditions the double disk drill could not close the furrow and this reduced the positive impact of using the drill. 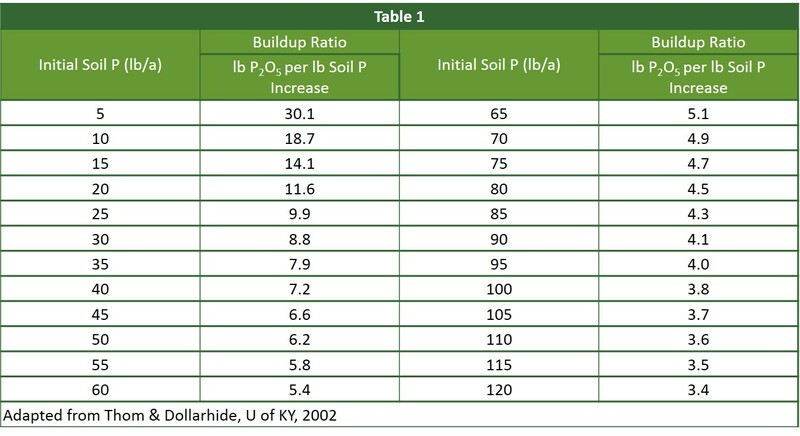 The two tables below show the impact application and environment on yield. Each of the treatments had 60 lbs of nitrogen (as Urea) applied per acre. At Chickasha the first application was made while it was fairly dry and then it rained, but the second application was made during a period in which there was no rain but a fairly significant dew each morning. 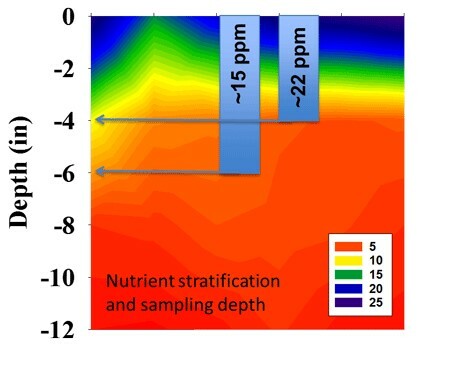 This can be seen as the small effect volatilization played on the yields of the first application timing. 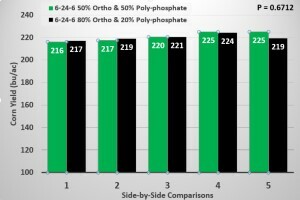 At Lahoma, it was the early applications that had a higher risk of loss with no difference seen later. Partial year one results from the topdress N with a grain drill at Chickasha OK. Timing 1 was late January and timing 2 was late February. Partial year one results from the topdress N with a grain drill at Lahoma Ok. Timing 1 was early January and timing 2 was mid February, and timing 3 was early March. 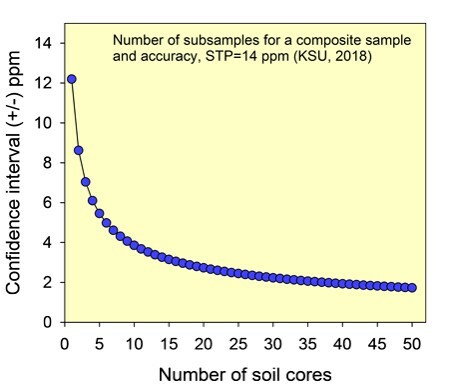 With the results from the first year of the top-dressed drilled nitrogen studies in the books, the interest has been increasing. One question keeps popping up: for grain drills without a fertilizer box, what do we put our grain box on to apply fertilizer. At one point the number of inquires hit a critical mass and I sent out my crew to find grain drills and create calibration curves for DAP (18-46-0) and Urea (46-0-0). The crew did just that. Now please consider what is presented below is a general calibration. 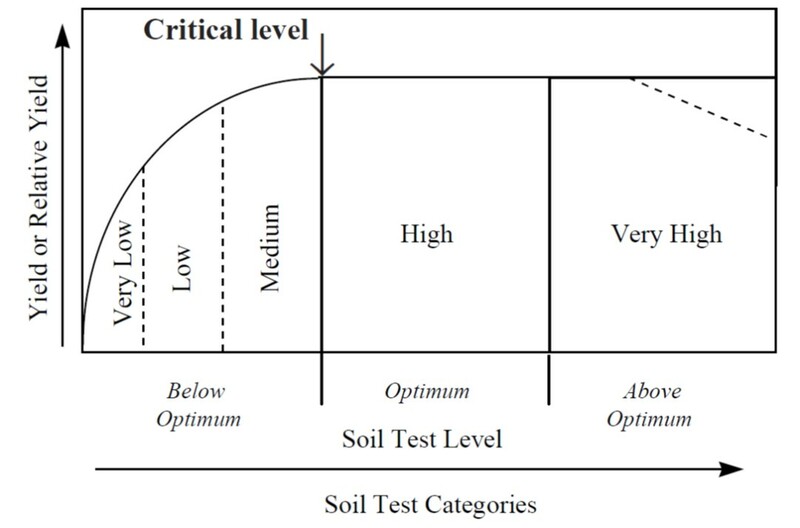 Much like the chart on your grain drills, it will hopefully get you close but the best-case scenario is that each drill is calibrate prior to running. As request are made we will try to add more drills to this list. To create the following charts the guys located several different makes of drills around the OSU experiment stations. They were instructed to choose setting based on the manufacture seed rate charts in the range of 60, 90, 120 etc. For each setting they caught a couple of row units for both Urea (46-0-0) and DAP (18-46-0). 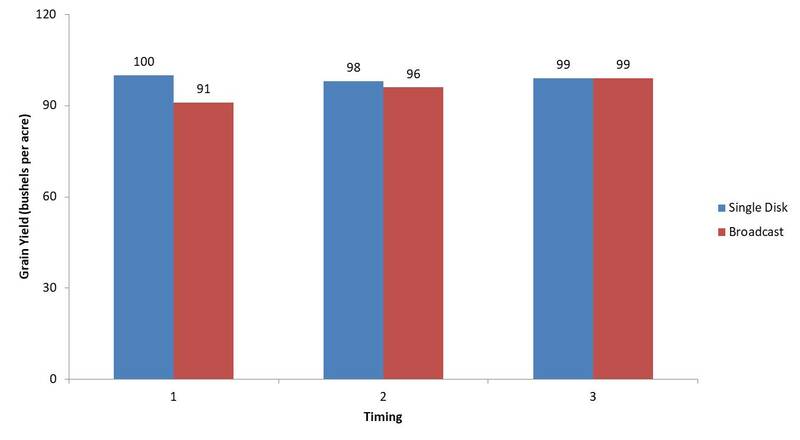 They caught each setting multiple times to get a good average. If you look at the tables you can see the Landol 5211, Great Plains 1006NT, and International 5100 are fairly similar, with the John Deere 1560 being a little lower and the John Deere 450 significantly lower at the lower rates. To use the tables below, consider what kind of grain drill you have and choose to follow one of the drills listed or the average of all five. If you use the average value I would expect most to find they applied a bit more than planned. To make it even simpler, but less accurate, you can use the % wheat value. To do this for DAP take your target rate and divide by .88, this value is what you want to set your drill to. For example for a target rate of 100 lbs DAP per acre use the following formula: 100/.88 = 114. Choose the manufacturer recommended settings 114 lbs wheat seed per acre. If you are wanting to apply Urea take your target rate of urea and divide by 0.71. 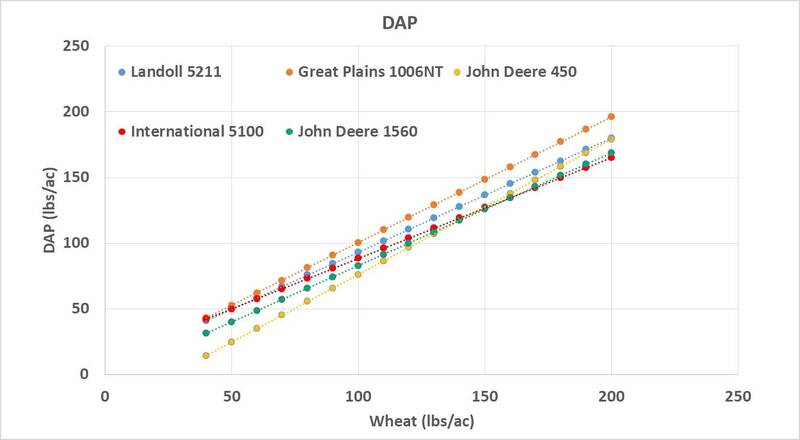 Table showing the manufacturer wheat rate setting and the resulting amount of DAP 18-46-0. 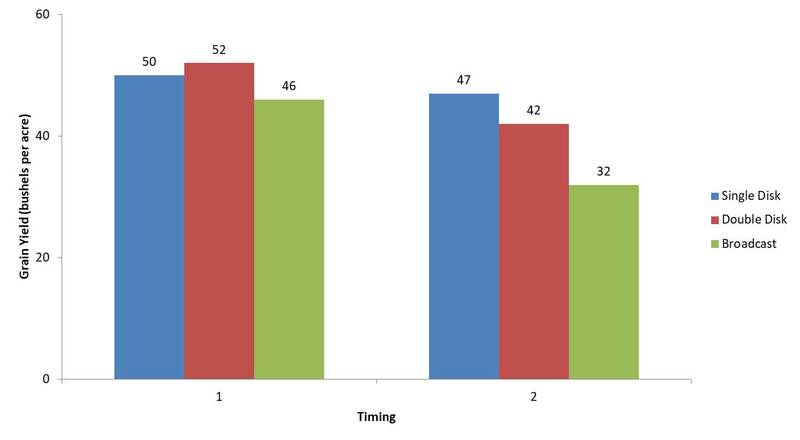 Graph documenting the manufacturer wheat rate setting and the resulting amount of DAP 18-46-0. 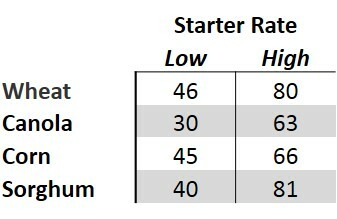 Table documenting the manufacturer wheat rate setting and the resulting amount of Urea 46-0-0. 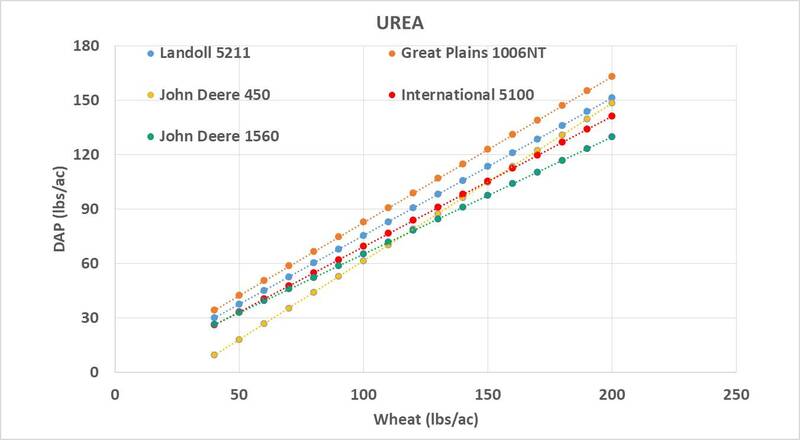 Graph documenting the manufacturer wheat rate setting and the resulting amount of Urea 46-0-0. Again, I cannot state this enough, this is a general guide, each drill even of the same manufacture and model will likely be different. The only way to be certain of the rate applied is to calibrate each drill individually.